March 2011 - exploration for bauxite under the fertile red cropping soils of the South Burnett set to begin following approval from DERM. QBL proposes to open cut and strip mine to a depth of 30m. QBL chairperson says farmers would welcome a holiday while their farms are mined, and the land would be better than before. KCCG organises numerous meetings to support local landholders in their dealings with QBL. QBL ceases exploration after some months. Local media reported in March 2011 that Queensland Bauxite Limited (QBL) was set to begin exploration for bauxite under the fertile red cropping soils of the South Burnett following approval from DERM to do so. Subject to the confirmation of viable deposits of bauxite in the area, QBL proposes to open cut and strip mine to a depth of 30m. QBL chairperson Pnina Feldman from Bondi (Sydney) was quoted in local media as saying that farmers would welcome the chance to take a holiday while QBL mines their farms, and when they return, their land would be better than when they left it! 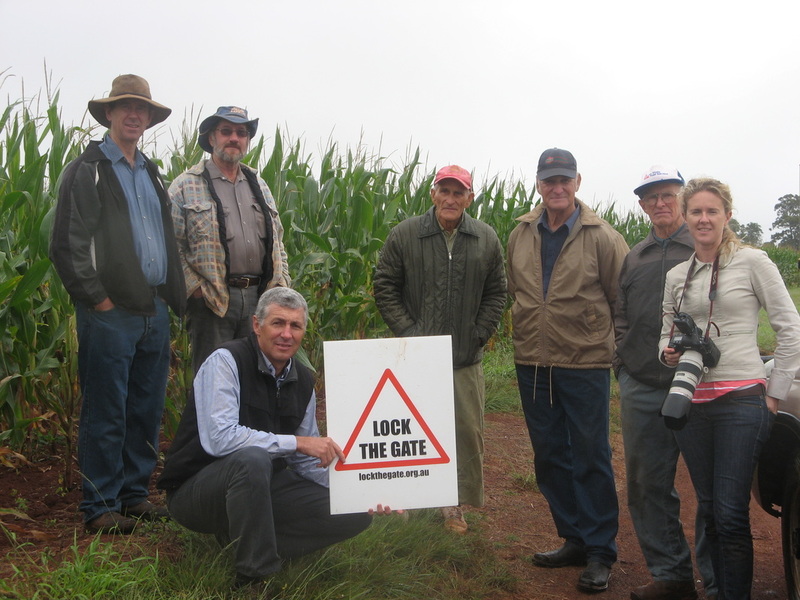 KCCG organised many meetings to support local landholders in their dealing with QBL, and campaign strongly to oppose the exploration and the prospect of a mine. The company ceased exploration after some months, and to the best of our knowledge, has not returned to Kingaroy since that time.